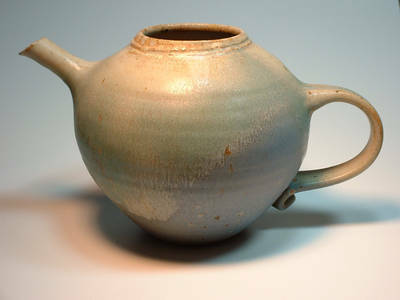 Description: Hand thrown jug. Outstanding glaze in blue, green and yellow. Glazed inside. 6.5" tall. Stoneware. Well made piece. incised GOLD on the bottom. 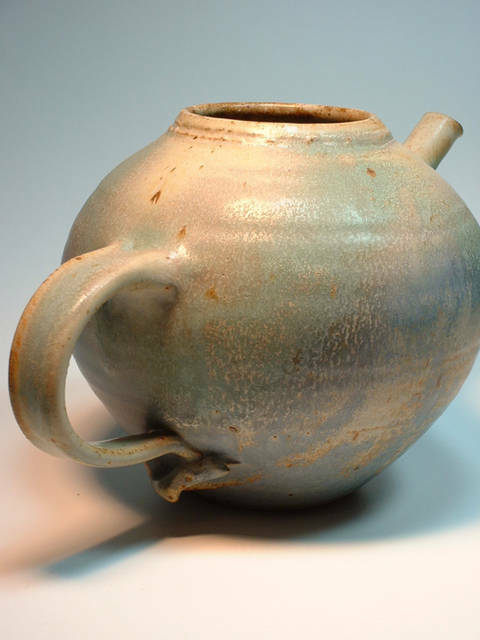 Relativly thin walls, and spout has strainer holes inside. 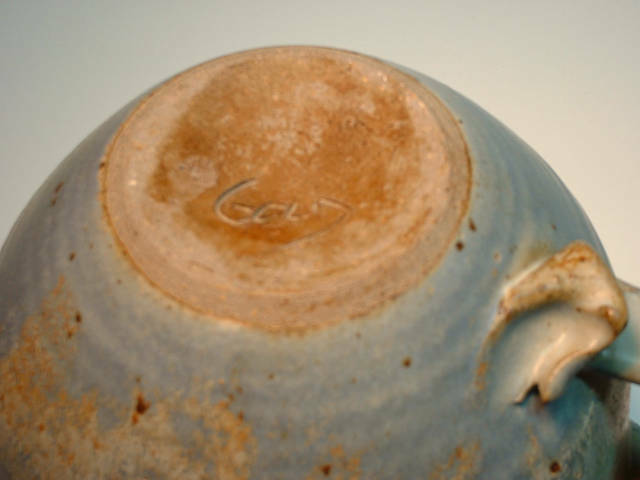 Small glaze flake on spout, but not obvious.